This is a great classic series. If you have watched the more recent series and OVAs then this is totally worth looking at. If you want to check out a fun and amusing classic, I also highly recommend it. 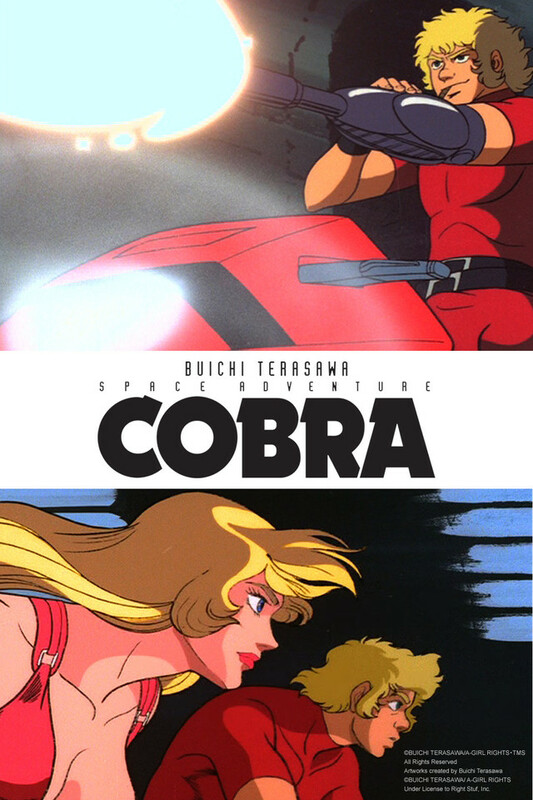 Cobra is like they took a bunch of very different ideas (high concept sci-fi, weird fantasy, James Bond, pirates, and more) and mixed them up in a blender for a very satisfying drink. My only gripe is the first story arc is the best. The rest of the series is still good and very entertaining but doesn't quite reach the same heights as the first story. Has aged a bit, but still is a must-see. Great adventure in space with a charimatic and hard-boiled pirate. You will love the caustic humour and the great action! There are two newer series around, but since (just like in a comic) every episode (whichever series it is from) tells an independant story, it is nice to watch them all. Don't dimiss it because of the old-age graphics, and please give it a try.